I love the winter olympics. I generally love all things snow related (few things make me as happy as a snow day) and having it on TV every day is a joy to me. Know what else I love? Cocktails! 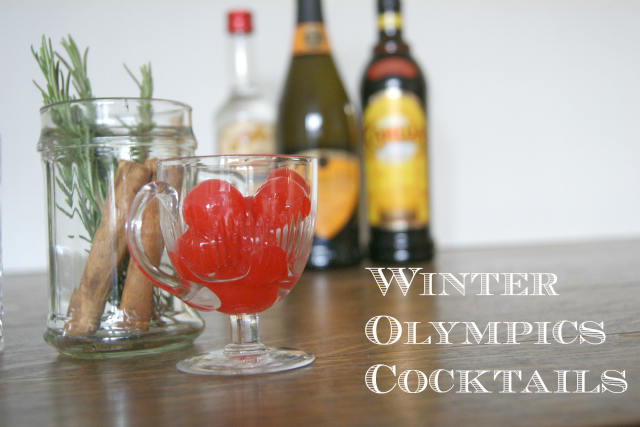 Here’s some of my favourite Olympics themed cocktails to accompany winter sports viewing. This is pretty much a French 75 (see what I did there?! ), spruced up for the games. Mix together 1 tablespoon of lemon juice, 1 oz vodka, 1 teaspoon of caster sugar and a dash of maraschino cherry liqueur. 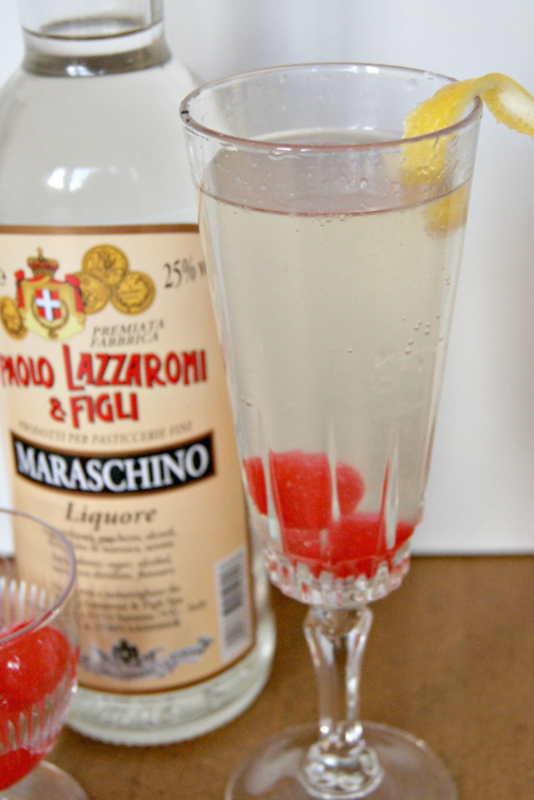 Pour into a glass on top of two maraschino cherries, then top with champagne, cava or prosecco (which I used here). Add a twist of lemon for garnish. 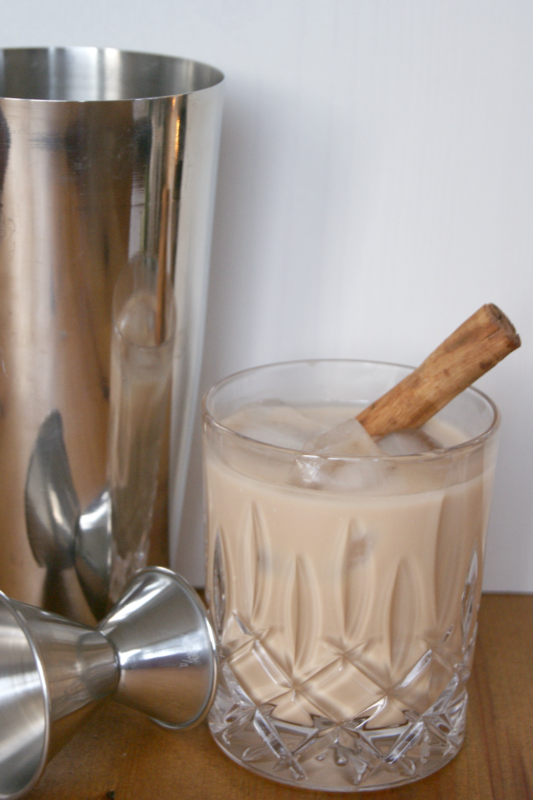 I couldn’t write an Olympics cocktail post without including a White Russian. Mix together equal parts of vodka, coffee liqueur (like Kahlua) and single cream – I used 2 oz of each for this serving. Mix and serve over ice. Going for gold could easily turn out tasting like a cough remedy syrup, but somehow the proportions of the citrus juice, vodka, honey and rosemary syrup keep it a million miles away from that. Leave the vodka out if you’d like to keep this non alcoholic. Firstly you’ll need to create a rosemary simple syrup. Bring 1 cup sugar, 1 cup water and 4 rosemary springs to the boil for one minute and then allow to cool. Before it’s fully cool, add a splodge of honey and stir to dissolve it. Once that’s done, mix together 2 oz vodka, 2 oz red grapefruit juice, the juice of half a small lemon, a splash of the rosemary syrup and a tiny bit of sea salt. 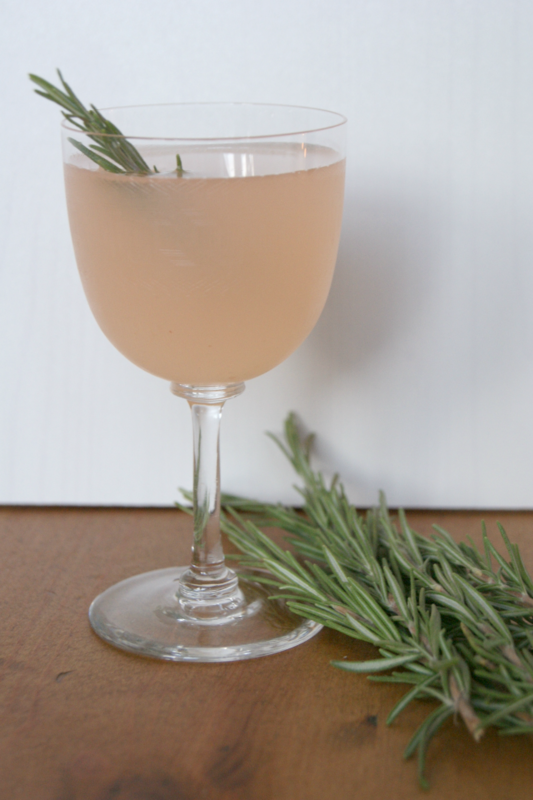 Shake together and serve with a sprig of rosemary. I’m besotted with anything that brings together peanut butter and chocolate. This needs the whipped cream on top to balance the intensity of the cocoa which makes it important not to scrimp on that. It’s also very rich so brace yourself. Pop 1 cup milk, a dessert spoon of peanut butter, a dessert spoon of cocoa and a dessert spoon of caster sugar in a pan and begin to warm over a medium heat. Add a few drops of vanilla extract and a couple of blocks of good quality dark chocolate and allow it all to melt together. 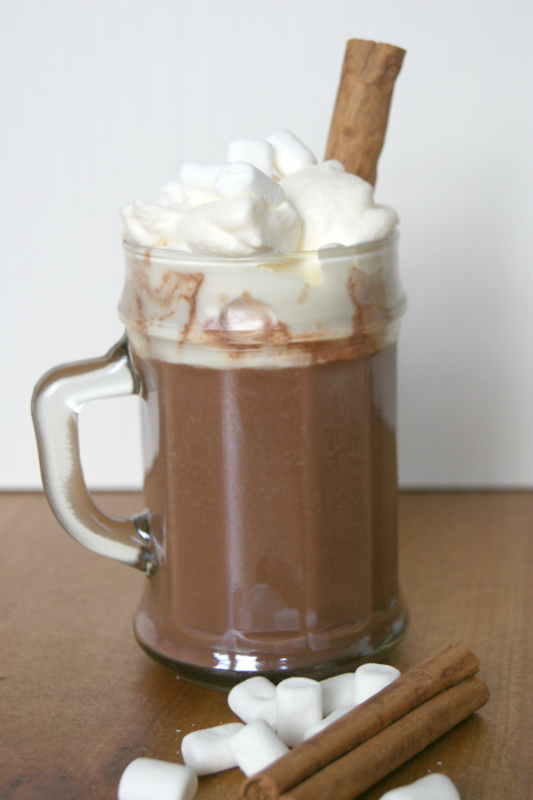 Once it has all combined nicely, sieve it into your mug and top with whipped cream and marshmallows.